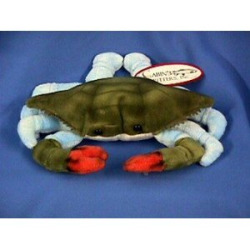 This Blue Bean-filled Crab is so cute! Made by Cabin Critters. Surface washable. A fun and soft Crab for all ages to enjoy!